Superior’s RazerTail Truck Unloader directly transfers material from truck to stockpile, removing extra handling to guarantee product quality. The RazerTail Truck Unloader can reduce your unload times to as little as 60 seconds per truck load. While conventional truck unloaders can require days to install, these portable units take just minutes to be production ready. Our patented self-cleaning ramps ensure any extra material is fed to the hopper after a truck’s exit, limiting maintenance. 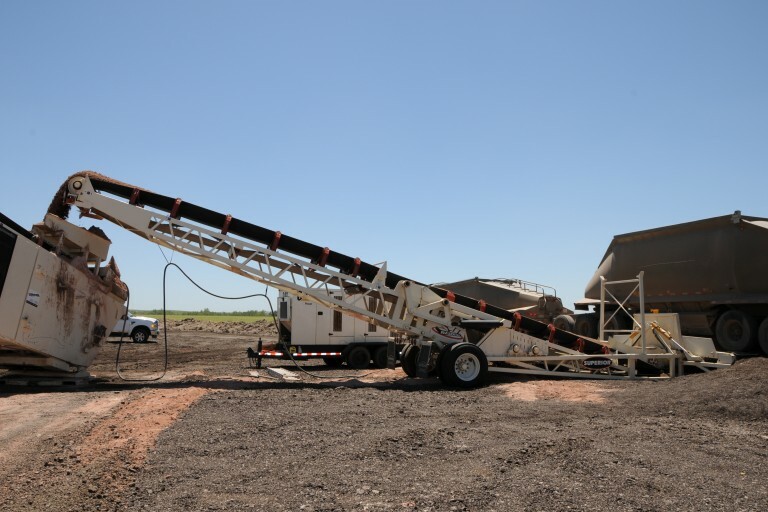 The RazerTail Truck Unloader is often paired with our Telestacker® Conveyor to create a seamless material transfer process.